The area's museums and art galleries are just a few of the reasons to vacation in Yarmouth Port. This walkable city is known for its seafood restaurants, beaches and riverfront. Cape Cod Museum of Art and Cape Cod Museum of Natural History are just a couple of the must-sees in the area. Are you looking for specific amenities for your getaway? Many of our vacation rentals feature full kitchens and laundry facilities. The nearest airport is in Hyannis, MA (HYA-Barnstable Municipal), located 4.1 mi (6.6 km) from the city center. If you can't find a flight that works for your travel itinerary, you could book a flight to Provincetown, MA (PVC-Provincetown Municipal), which is 25.5 mi (41 km) away. Where to stay around Yarmouth Port? Our 2019 property listings offer a large selection of 277 vacation rentals near Yarmouth Port. From 233 Houses to 30 Cottages, find a unique house rental for you to enjoy a memorable stay with your family and friends. 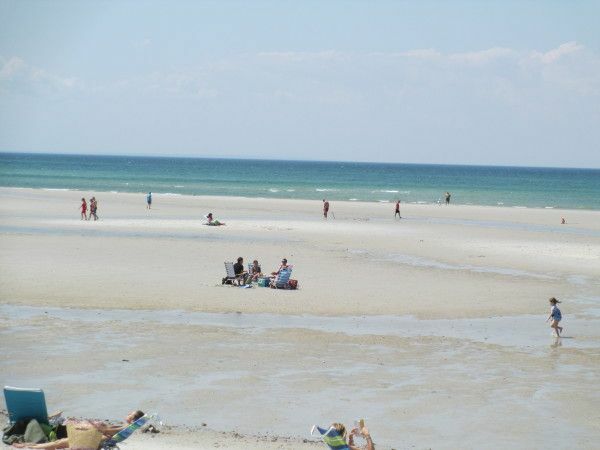 The best places to stay near Yarmouth Port for a holiday or a weekend are on HomeAway. What is the best area to stay when traveling to Yarmouth Port? What are the popular points of interest near where I can stay when traveling to Yarmouth Port? But there are many other points of interest around Yarmouth Port listed on HomeAway where you can find your place to stay. Please use our search bar to access the selection of vacation rentals available near the point of interest of your choice. Can I rent Houses in Yarmouth Port? Can I find a vacation rental with pool in Yarmouth Port? Yes, you can select your preferred vacation rental with pool among our 18 vacation rentals with pool available in Yarmouth Port. Please use our search bar to access the selection of vacation rentals available.